Are you having trouble with your indoor plumbing pipes? If you’ve noticed the need for increased plumbing pipe repairs and emergency plumbing services, your pipes may be nearing the end of their useful lives. Thankfully, plumbing rehabilitation via CIPPand PIPP liners can restore your plumbing pipes and provide you with years of reliable service. What is a pull in place pipe lining? A pull in place pipe lining or liner is a specially designed felt tube that is saturated with epoxy resin. Once the liner is completely saturated and prepared for installation, it is threaded through the host pipe and inflated until the sides of the liner are fully expanded against the host pipe’s interior walls. Then, it is left to cure for a certain amount of time, usually 12 to 24 hours. Once the pipe liner has cured, it is as hard as a replacement pipe. Can a pull in place pipe liner be used to rehabilitate my indoor plumbing pipes? Pull in place pipe liners can be used to rehabilitate indoor plumbing pipes. In fact, many Chicago homeowners and business owners prefer pipe liners to traditional pipe replacement because it is less invasive. Pipe liners can be inserted at preexisting access points, like drain cleanouts, which means there is less of a need to cut through expensive drywall and remove finishes from the interior of the building. Can a pipe liner be used for a sectional point repair? Pipe liners can be used for sectional point repairs. The process is exactly the same as the repair for an entire pipe run, except less liner is used. Our pipe lining technicians at NuFlow always perform camera inspections prior to inserting pipe liners. This allows us to determine where your plumbing pipe is broken or severely deteriorated and the size of the hole, crack or missing section. 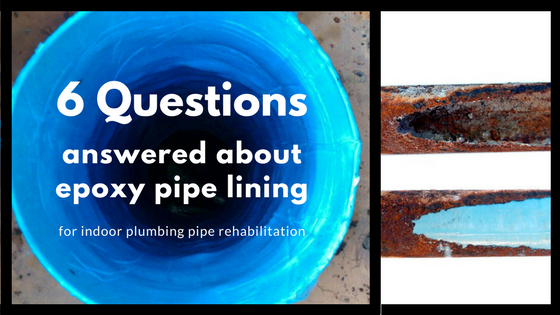 Our pipe lining technicians then use this information to determine how long the pipe liner should be and where it should be placed in order to rehabilitate the plumbing pipe. Is it possible to repair multiple sections of a plumbing pipe? It is possible to repair multiple sections of a plumbing pipe. Our pipe lining technicians can either line the entire pipe or certain sections of the pipe in order to restore it to its predeteriorated condition. The exact repair will depend on the findings of the preinsertion camera inspection. What can I expect after NuFlow rehabilitates my indoor plumbing pipes? Once we rehabilitate your indoor plumbing pipes with our pipe lining technology, you can expect improved flow rates, no further deterioration of the host pipe and a pipe liner that is guaranteed for 10 years and has an expected useful life of 25+ years. How can NuFlow help me with my plumbing rehabilitation? 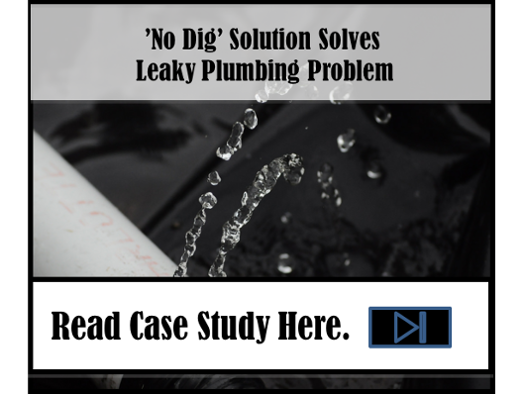 Over time drain lines can become slow and clog frequently due to corrosion, root intrusion and cracks and breaks in the line. When you call us with your plumbing problems, our technicians will listen to your concerns and your plumbing pipe history and schedule an appointment to come out to your home or business to perform a plumbing pipe camera inspection. This inspection tells us the condition of your pipes and allows us to determine if your plumbing pipes would benefit from pipe lining plumbing rehabilitation. If your pipes would benefit, we will provide you with a detailed estimate and explain the pipe lining process to you so that you can make an informed decision. If you do decide to have your pipes lined, our technicians will plan your pipe lining service and arrive on-time to rehabilitate your pipes.